Light - Ingredients for Health joined our Mission to help provide access to “Clean Water for All by 2030”. This Mission was initiated by the United Nations. A big thank you to Light - Ingredients for Health’s team and customers for joining this extremely important mission on 11 December 2017. 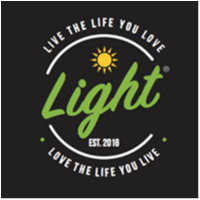 Light is your local organic whole foods store, wellness and weight loss centre, café and restaurant-offering a variety of vegan and paleo lunch and dinner options, as well as raw and healthy snacks and desserts. We stock a range of organic, natural products, from food, beauty and health items, to supplements, vitamins and herbs. We thrive on educating people on how to be responsible for their own self-healing to maintain optimum health and vitality. Our wellness and weight loss centre offers acupuncture, Chinese cupping, fat cavitation, dermapen facials, massage, weight loss programs and nutrition consultations.